The Death Star may have been a dark and evil thing back in its time, but now it’s just so pretty. Instead of blowing up planets, this Death Star makes the stars shine brightly even while you’re still in your house. 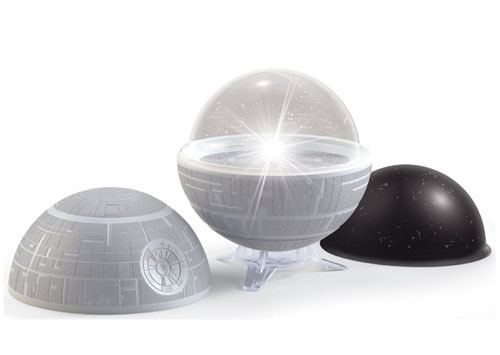 You don’t even need to go outside anymore, you can just sit inside with this Star Wars Death Star Planetarium and stare up at the stars. This planetarium would also work as a night light for little kids who need comforted in the dark by something bright and shiny. Of course this isn’t advised for kids under 3 years of age due to choking hazards. To keep it powered it requires 3 AA batteries, that are obviously not included. Once this comes out in August you’ll be able to purchase one of these for $29.99. Of course if you’re feeling impatient you can go ahead and pre-order one now.